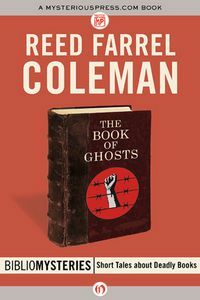 The Book of Ghosts by Reed Farrel Coleman: Synopsis and Online Purchase Options. Birkenau could not kill Jacob Weisen. He survived the death camp and made his way to America, where he became famous telling the story of Isaac Becker, an author who was tortured to death when the guards caught him writing down his story. Becker's manuscript was lost, but by telling the tale, Weisen keeps his memory alive. No other witnesses survived — and Weisen is the only person who knows his famous story is a lie. In fact, Weisen was a collaborator, who led his countrymen to the ovens and gave Becker up to the SS. Decades after the war, as his lies begin to unravel, he must choose between admitting the truth and dying in a hell of his own creation.